Here at Keep A Breast, we believe that everything is connected and that our overall health and wellness is influenced by everything around us. We had the idea of creating personalized health guides based on the zodiac (with a focus on health, of course). We've teamed up with the fantastic intuitive tarot reader, Reiker healer, and dream interpreter, Christine Aprile (of House of Intuition TV) to bring you monthly wellness-centered horoscopes. Featuring artwork by Torrey Jay. February begins on the tail end of the Full Moon eclipse on January 21st, a powerful lunation that brought closure and a heavy dose of reality to our plans and relationships. This is an excellent month for all signs to take stock of the lessons brought by this series of eclipses during the past two years, and the New Moon on February 4th is the perfect time to jumpstart the new and improved you. On February 18th, the asteroid Chiron ends it’s seven-year cycle in Pisces, shifting into firey and driven Aries. Our collective focus will shift from healing and understanding old wounds to taking action to change our world for the better. Tap into your subconscious or tune into your psychic senses this month dear Aries. Grab some candles (soy or other non-toxic varieties, of course) and fill up your bathtub to create a soothing, quiet space for yourself. Taking a 20-minute bath can help improve circulation and balance hormonal levels, all while opening up your inner senses. Indulge in relaxation and extra sleep this month, dear Taurus. Sleep is a crucial aspect of good health, improving memory and reducing cortisol levels. Even an hour of sleep can help the brain process all that you’ve learned during your busy day. Here's some holistic sleep tips that we love from Mind Body Green!The past few months have involved quite a bit of soul searching for you, dear Gemini, but it’s about to be full steam ahead for your work or school career by mid-month. This is a wonderful time to let fresh inspiration into your life, whether through learning a new skill or signing up for a personal trainer. Now that you’ve let go of what no longer serves you, there’s room to fill those empty spaces with healthier options for your future.Break out of the routine this month, dear Cancer, and hit the road! Whether you’re going near or far, expand your horizons and embrace adventure. Challenge yourself to climb that higher hill or grab a sled and play in the snow. You’ll get a great workout and make some beautiful memories. Congratulations Leo! You’ve made it through a transformational eclipse cycle that started back in August of 2016. Take note of all the changes that have occurred since that time, and consider how far you’ve come by journaling what lessons you are most grateful for. Writing down your experiences will help make sense of all that you’ve learned and processed the past few years.Love is in the air Virgo, and after last months full moon eclipse, you’re ready to make some moves. Single Virgos may find a new love affair, and if you’re already attached, you and your sweetheart may take things to the next level this Valentine's day. Why not try making exfoliating face scrub using coconut oil and sugar (we love this one from A Beautiful Mess) to brighten up your complexion before your next romantic rendezvous?Relationships are going to come to the forefront this year Libra, so prepare to open up your social calendar for new connections. Consider joining a hiking club, a cooking class, or a rock climbing gym to kickstart new friendships and romances. You never know who you may meet while exploring your interests! Get organized this month dear Scorpio! This is an excellent time to clean out the clutter and enjoy the extra space, whether it be your closet or memories of the past that you’ve had a hard time releasing. Take a cue from Marie Kondo, and let go of what no longer sparks your soul. Be prepared for your creative productivity to explode, dear Sagittarius! This is the perfect time to revamp your workspace or set up a dedicated creative zone. The simple act of drawing, painting or even coloring can help relieve stress, depression and help with pain management. Bring the intangible world of your emotions into reality, and enjoy the well being of your creative process. The past few years have been filled with uncertainty and soul searching for Capricorn natives, but that’s about to change. You’ll be ready to move ahead and plan for the future, and you may want to consider focusing on your teeth and bones this month. Daily flossing not only cleans tartar from your teeth, but can also help prevent heart disease. You’ll keep smile intact and your body healthier in the long run, so floss at least once a day! 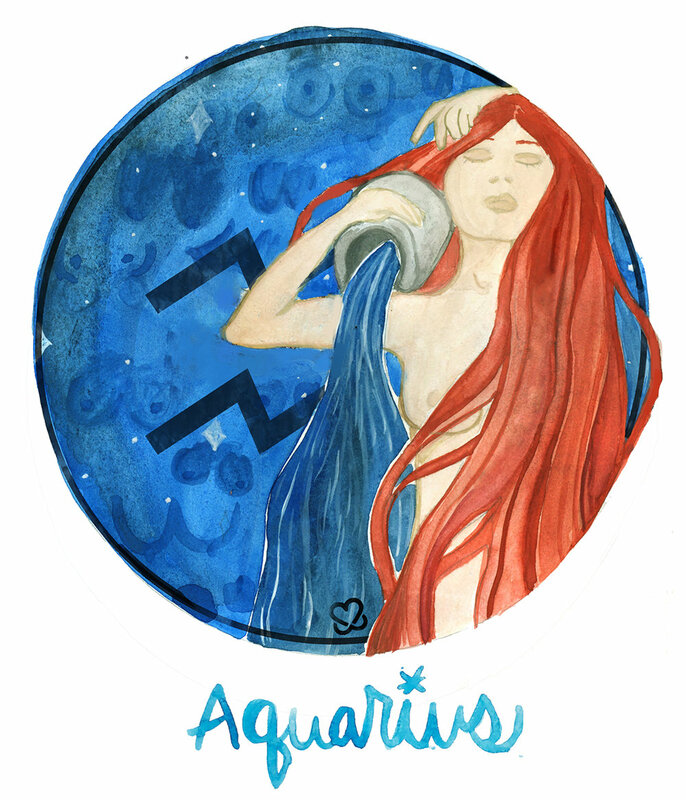 It’s your birthday month, dear Aquarius, so enjoy the next few weeks by focusing on your intentions for the year. This is also the perfect time to feed your senses, so invest in a healthy new cookbook that uses new-to-you, colorful, whole ingredients. Your taste buds and body will both benefit!Revamp your health habits this month, dear Pisces. Start a daily journal where you track your meals, workouts and emotional well-being. You may be surprised at how your eating habits influence your daily mental health, or you may find that certain foods trigger breakouts or physical discomfort.